At the close of the twentieth century, democracy appeared to have overcome the Cold War partition of the world, as countries across the globe had deposed autocratic regimes and held free elections. Nowhere were these developments dramatized more brightly than in Eastern Europe in 1989, as newly formed civic movements replaced long-standing Leninist regimes with democratic governments.Yet it is clear that the "waves" of democracy that initially seemed similar have led to widely varying outcomes. While some countries in Eastern Europe were invited to join NATO and the European Union, others were excluded. Former communists were elected to power in post-communist Poland and Hungary, but were largely absent in the Czech Republic and were transformed into populists in Slovakia. These differences have led the author to address several questions, including: How similar actually were the Leninist regimes before their dissolution, and how similar were their demises? How did the way communism fell affect the founding of democratic states in Eastern Europe, notably in Poland and Czechoslovakia?This book offers a critique and reformulation of existing theories of democratization, as well as of earlier understandings of the fall of communism. By contrasting the negotiated pact in Poland with the collapse of the regime in Czechoslovakia, it provides a theoretical framework to explain how different paths of democratization affected the prospects for sustainable democracy. The book goes beyond the explanation that a "Gorbachev" effect determined events in the late 1980s by contrasting mobilization against Leninist regimes with negotiations for democratic institutions. 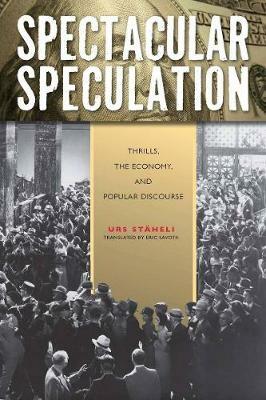 It highlights competition between aspiring leaders, reconceptualizing the notion of civil society as a master frame within which movements and leaders sought to mobilize popular support.The book also emphasizes the transformation of networks associated with the birth of a democratic nation, such as the Catholic Church in Poland and the theater strikes in Czechoslovakia. Finally, it analyzes how paths of change structured political competition in new democracies in both the short and the medium term.